Backpacking through Europe isn’t as expensive or difficult as it may sound, not if you follow the three P’s — prepare, protect and pack. Before brushing up on your Jack Kerouac books and posting a “Europe or bust” post on Facebook, start your trip by studying possible places you’ll be traveling to, staying overnight and eating at. First and foremost, budget your trip as best you can. According to a USA Today article, you can budget about $15 for food a day if you’re a supermarket or local grocery store shark, but plan to spend about $25 to be safe and to allow yourself to enjoy the local food. As for where to go, as photographer Eric Kim explained, “It is better to spend more time in fewer places than see more places in less time.” He advises not to be afraid to ask locals where the hot spots are and always purchase a map. Check out Hostelbookers.com for some cool places to visit. 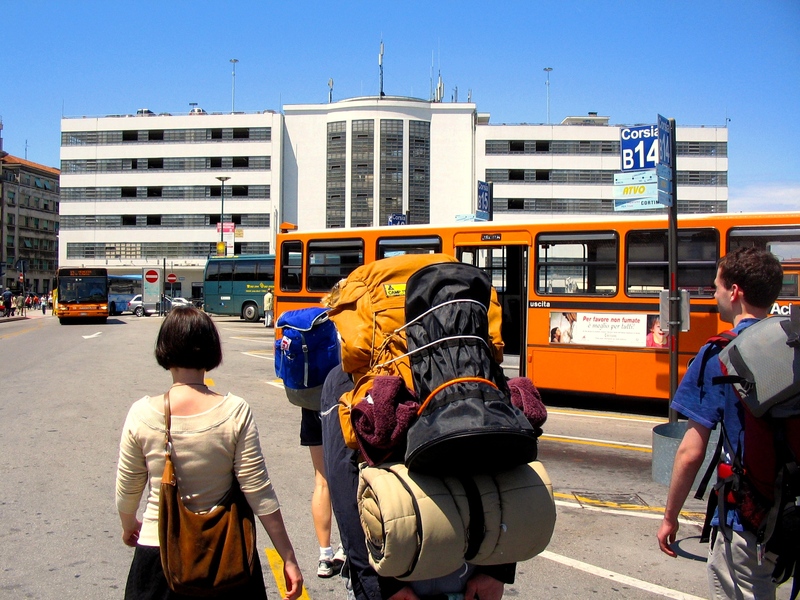 As far as lodging, hostels are a terrific, inexpensive way to swing a fun and affordable backpack trip across Europe. 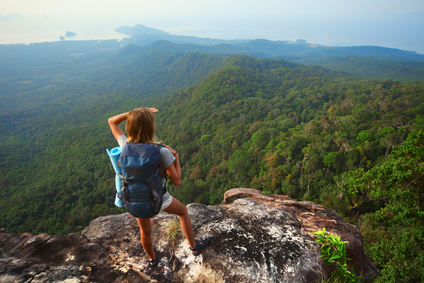 It doesn’t hurt to check out where hostels are located in the area you’ll be traveling. Not only can you adjust your budget better ahead of time but you can also book hostel stays and take advantage of discounts that Hostelworld.com offer. The last thing you want is for your European backpacking experience to turn into a peddler’s burden of begging for money and food. Don’t make preventing identify theft and protecting your money and passport a priority after you’ve been robbed. Signing up for coverage with the Lifelock Identity Alert system assures that you’ll be more concerned with beer and local spicy food you just consumed more than the security of or your finances while on the trip. Lifelock boasts a proactive approach to broader identity coverage, notifying you by email, regular mail, phone … everything short of smoke signals. The Savvy Backpacker cautions using your credit card at foreign ATMs, as you will be nailed with enormous fees. It advises to use an ATM or debit card instead. It also gives you plenty more information on the Euro and British Pound Sterling and exchange rates. With Identity Strong protection, you’re not only protecting your physical items, but your virtual items, as well. Yes, pickpocket thieves are good enough now to steal your identity without even taking anything out of your wallet, thanks to technology. If you did your homework, then by the time you’re actually ready to pack you’ll know one thing for sure — pack light. There are only two things you need to keep in mind when packing, and that’s organization and weight distribution, according to Wildbackpacker.com. From having the proper-sized backpack to deciding on what’s a luxury and what’s a necessity, packing your backpack is perhaps the most essential part of planning your trip. Once you’ve sorted between luxury and necessity, lay all your necessary items — clothes, phone adapter, compass, lighter, insect repellent — on the floor and then pack from least used (to go to the bottom) to most used. Europe isn’t all flat, soft terrain, so do you a favor and prepare for outdoor exercise. To learn more about light backpacking, go to Backpackinglight.com. Remember, there’s plenty of mystery and the chance in backpack trips through Europe, even if you prepare. Raised by a single mom, Britney knows how important it is to make the most of what you have. She is the queen of DIY in New Hampshire. Fear and doubt stands between a life of mediocrity and an extraordinary life. Fear and doubt can prevent change, progress and discovery. Intimidation can be just as limiting. Intimidation is a feeling of inferiority and a natural response to uncomfortable situations andnew surroundings. It’s an emotion manifested from other feelings such as fear, doubt, timidness and insecurity. You can feel intimidated by a stranger on the street, a project for work, a life change — even traveling.